Let Your Heart Speak 1280x720px ::::Let Your Heart Speak and your darkest night will burn bright again hd wallpaper. Blonde girl in a river looking at an alien sky. 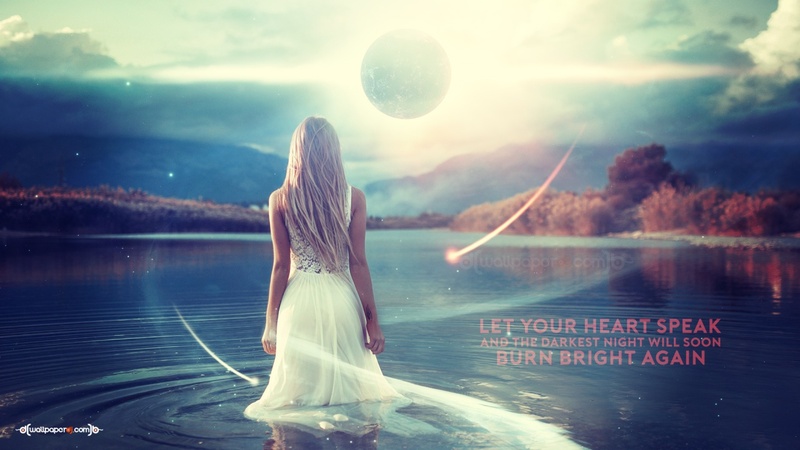 Let Your Heart Speak and your darkest night will burn bright again hd wallpaper. Blonde girl in a river looking at an alien sky. Let Your Heart Speak 1280x720 is a music wallpaper for your computer desktop . Let Your Heart Speak is part of the collection of wallpapers. Let Your Heart Speak music wallpaper was tagged with: Music, Trance, club, clubbin, sound, mixer, headphones, dance, techno, electro, dj.